Volga River cruises are one of the most interesting ways to explore Russia and experience many of the fascinating sights along the way. The Volga River is the largest river in Europe and is often considered the national river of Russia. This incredible waterway flows through eleven Russia's major cities and some of the largest reservoirs are located along the Volga River. Exploring Russia in any other way can be time consuming and stressful, however, Volga River cruises are perfect for you to sit back and relax. You will be taken to the best landmarks and architectural buildings throughout Russia, and allowed the time to explore. Cruising has become one of the most popular ways to spend a vacation. 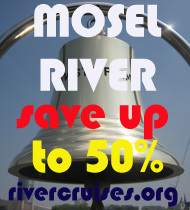 Volga River Cruises are the ideal way to experience a part of Europe that you may have overlooked. Although it is typical to choose one destination for your river cruise due to the length of the Volga River, you will be able to select various places to visit. 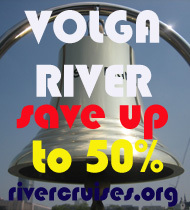 There are several different companies that offer great Volga River cruises. The boats are often very similar; therefore, it is down to personal taste. You will need to set your budget, decide on the duration and the places that you would like to see. Russia is a stunning country to explore, with many different landmarks and incredible historical buildings. Uglich is one of Russia's oldest towns and is one of the many places that the Volga River cruises will stop at. St Petersburg and Moscow are also both included in the river cruises and you will be guaranteed to see everything you wanted to and so much more. All of the popular tourist destinations are catered for when you join the Volga River cruises. The Volga River cruises are often far longer in duration than other European cruises, however, there are short cruises if you would prefer. You may want to consider shorter river cruises that will offer you the highlights. However, you may feel that you are missing out on a huge part of what Russia has to offer. If you did not want to spend all of your time on the Volga River cruises, you may choose to check in to a hotel for a few nights. The boats that are used for river cruises are far smaller than the ocean liners that you may have seen for other cruises. The size and style of the boast for the Volga river cruises make the vessel far more personal and intimate. You will get to know the other occupants very quickly, and may find that you make long term friends. 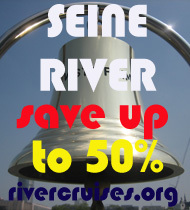 Cruising has become very popular due to the luxury that you will experience at a very affordable price. You will be amazed at the facilities on board the boat, and will never want to book another style of vacation again. Vacations can sometimes be very hectic, and you will find that you have no time for relaxing, however, once you are checked in onto the boat you can simply sit back and enjoy the tranquil scenery. Gently sailing down the Volga River you will be amazed at how peaceful and relaxing a river boat cruise can be. 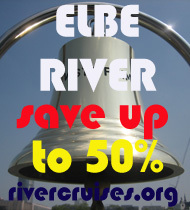 Although the boat will stop for off shore excursions, you do not have to go, and some people prefer to stay on board. Whether you choose to sail the whole distance of the Volga River, or select different waterways to explore there are Volga River cruises for you. You will be able to experience cuisine and culture that you have only dreamed of, in a country that has fought so hard to get where it is today. Experiencing Russia on a river cruise is the ideal way for you to see the best of the cities and scenery throughout the country. Travelling throughout Russia you will feel honored to have experienced a vacation of a lifetime. Discover Volga. With rivercruises.org more cheap than ever!